They [eventually] solved that whole oil-spill thing, right? You can feel a little less guilty about finding it hard to resist that glowing green sign at the BP station conveniently located just a block from where you live. 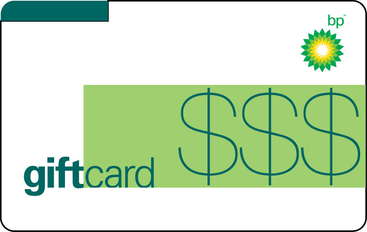 Buying a discount BP gift card from GiftCard Mart is going to allow you or someone you love to buy snacks and gas up the car, so it’s a win-win. Gift cards listed as "Physical" are typically plastic gift cards that we will ship to your billing address via USPS. These cards are usable at retail locations. Some may also be used online and some "Physical" cards are merchandise return credits that CANNOT BE USED ONLINE and as a result, we can only guarantee that they will be accepted IN STORE.